I honestly can't contain my excitement. I've been waiting for Christmas all year and I can't believe it's here already! Sadly though, it does mean that this is going to be my last post of the #BigBlogmasProject. I have absolutely loved taking part in this project, it's been so amazing. I'm not going to lie, it has been a challenge, coming up with ideas for 24 posts, and finding the time to write them each day, but I've loved every single second of it. 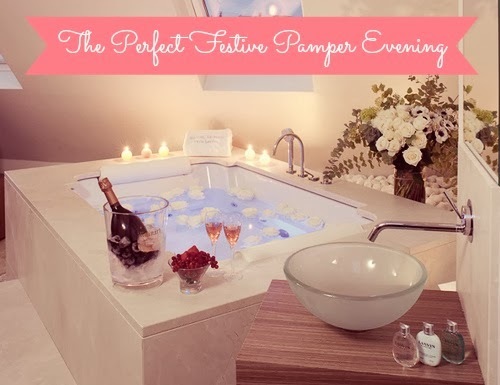 Christmas is the perfect time to treat yourself to a relaxing bit of "me time", and what better way to do this than with a festive pamper evening. I love a good old pamper evening and I'm not going to lie I do have them quite frequently. They're perfect if you're getting ready for some sort of event, or if you just want a chill out session. I always end up having three main big pamper sessions - one on Christmas Eve, one on Boxing Day, and one on New Year's Eve (or afternoon; before all the festivities begin), and each of these follow a similar structure so I thought today I'd share with you what I do when I'm having a festive pamper evening. 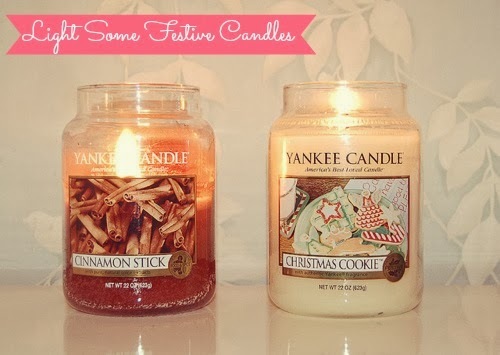 First of all, I light some lovely festive candles and pop them around my bathroom. I really think this sets an idyllic setting, which really adds to your relaxation. My personal favourite festive candles are all Yankee Candles; "Campfire Treat","Christmas Cookie" and "Christmas Eve". It's also nice to pop on some lovely christmassy music to get you into the festive spirit whilst you relax. I also prepare a lovely hot chocolate topped with cream and marshmallows to enjoy whilst I relax. Now the rooms is all lovely and festive smelling, I start preparing your gorgeous bath. 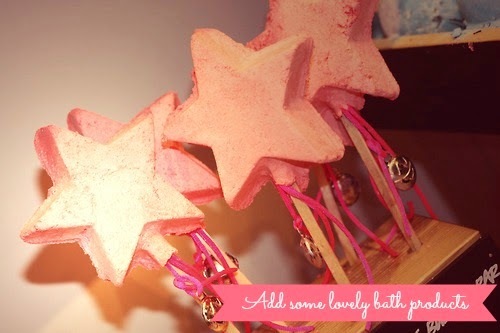 Personally, I start by waving the Lush Magic Wand Bubble Bar in the bath (whilst the water is still running), which produces tons of lovely smelling bubbles and turns the water a lovely pink colour. Snow Fairy is one of my most favourite Lush christmassy scents, so this bubble bar is perfect for me. I then crumble a little piece of the Lush Christmas Eve Bubble Bar into my bath, to give the bath a few more bubbles and make it a bit more festive. Before I jump into my lovely festive bath, I take your makeup off so my skin is ready to be pampered. 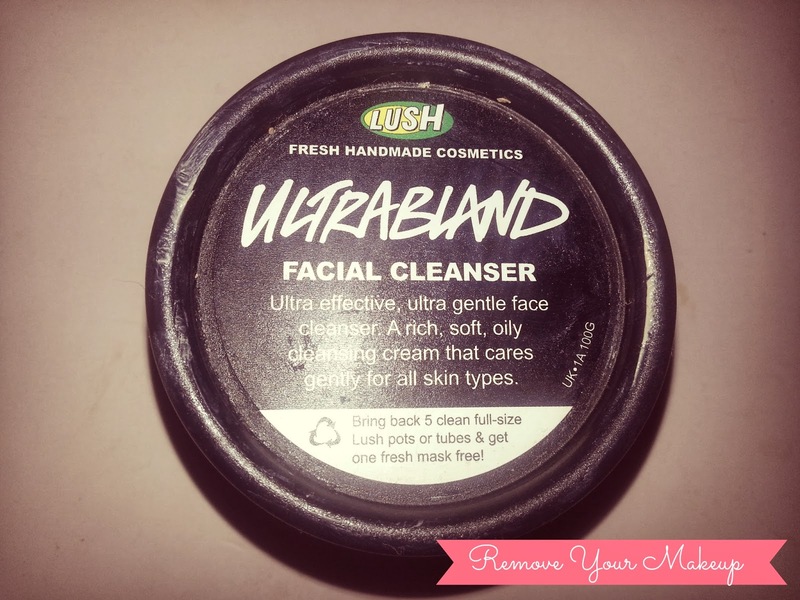 I use the Lush Ultrabland Cleanser with the Simple Soothing Toner. It's now time for me to enjoy my lovely festive bath. 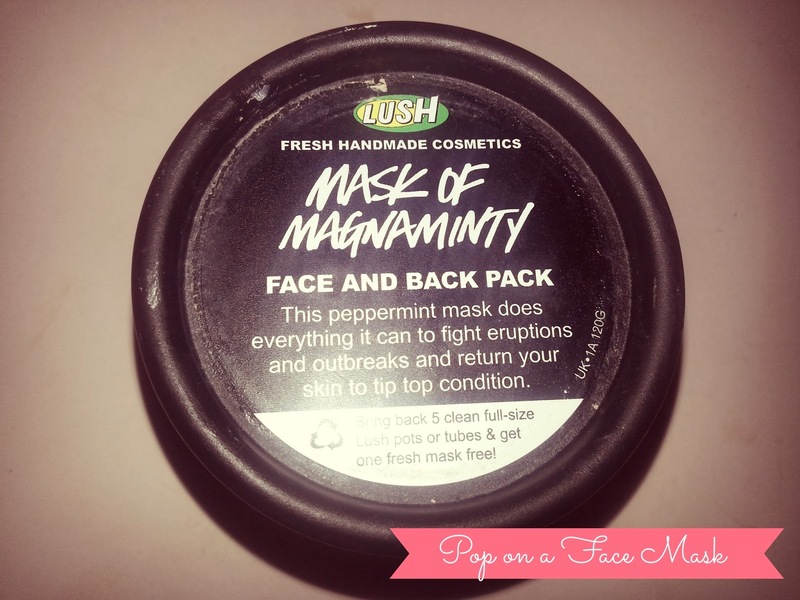 As soon as I hop in, I apply the Lush Mask of Magnaminty Face Mask and I just leave it for around 15 minutes (I think the packaging says 10 minuets but I find 15 to be much more affective) to work it's magic on my skin. Then, it's time for any hair-removal procedures I need to undertake. My current body wash of choice is the Lush Snow Fairy Shower Gel so I always use lots and lots of this, because it smells incredible. Next, I use the Soap and Glory Flake Away Body Scrub, all over my body, to exfoliate my skin (this particularly works wonders on legs - especially if you've just shaved) and leave it wonderfully smooth. I know some people seem to prefer to exfoliate and then use a body wash, but personally I prefer it this way around. If you're the type of person that likes to give their hair a wash in the evening, then this point in your pamper evening would be a fab time to do it but I prefer to wash my hair in the morning so I'll leave this stage out. When I've finished with all these bits and pieces, it's time to just relax. When I've finished relaxing, I jump out the bath, wrap myself in a lovely warm fluffy towel and pop back into my bedroom. 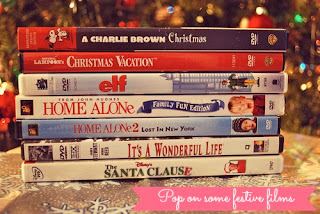 I pop on a dressing gown (little tip if you're looking for a new dressing gown - the laura ashley dressing gowns are the softest warmest things imaginable) and pop on a christmassy film (Love Actually is my personal preference) or some christmassy telly (personally, I love the christmas Friends episodes) to keep you entertained as you relax. I tend to begin this stage in my pamper evening by moisturising my skin, which is something that is so important, especially at this time of year, as the cold weather can do disastrous things to our lovely skin. 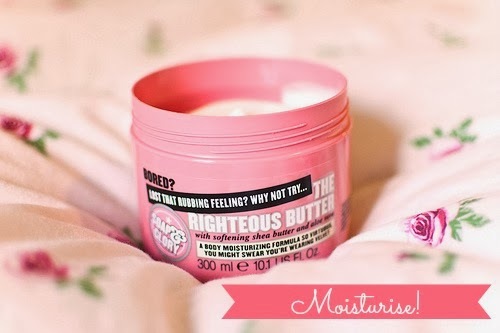 My current favourite ultra moisturising products are the Lush Soft Coeur Massage Bar and the Soap and Glory Sugar Crush Body Buttercream. It's also lovely to give your hands and your feet a bit of a pamper too. I always start with my feet, and I use the Soap and Glory Heel Genius cream, before painting my nails in a lovely festive colour (I'm currently wearing OPI 'In My Santa Suit'). Heel Genius is a product that's supposed to be used overnight (I think?) but I find it works just as well when used as part of a mini pedicure. Then, I move onto my hands and I use my current favourite hand cream the Yves Rocher Cocoa and Orange Moisturising Hand Cream, which I got in a glossybox and I've just fallen in love with. I've just found out that you can get it in Cocoa and Raspberry, and Cocoa and Pistachio too which I'm so excited to try. 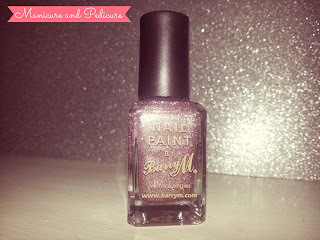 I then paint my nails in another lovely festive colour (at the moment I'm wearing Barry M 'Pink Silver Glitter') and do the usual sit for twenty minutes waving my hands and feet around trying to get my nail polish to try quickly (just admit it, you do it too). Whilst I'm waiting for my nails to dry I blitz my eyebrows, and complete any other bleaching or waxing that needs doing. When I've finished with all those bits and bobs I begin my night time skincare routine. Now, as I've already taken my makeup off with my cleanser and toner, I just apply the Lush Celestial Moisturiser, Lush Grease Lightning Spot Treatment (on any pesky spots that are lurking) and my prescribed acne medicine. Now I've finished my pamper evening and I'm ready for a good nights sleep. So that's everything I do on a pamper evening! What do you do, and which products do you use?